The Faculty of Arts was founded as one the four original faculties of Charles University – the oldest institution of higher learning in Central Europe – by the issue of the Foundation Charter on 7 April 1348. Charles IV, in pursuit of his state and dynastic policy, strove to establish the Kingdom of Bohemia as the centre of the Holy Roman Empire. 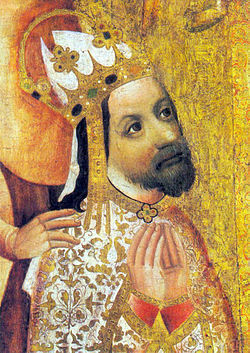 His plan was to concentrate scholars from home and abroad in Prague, which became his residential city, and thus bolster the base of his power. In pre-Hussite times, two-thirds of all students of the university were students of the Artistic Faculty where they acquired the knowledge needed to be able to study at the other three faculties (theology, medicine, law). One of the privileges enjoyed by the faculty was the right to confer master’s and doctoral degrees which entitled their bearers to teach at any European university. During the two centuries following the Hussite wars, the Faculty of Liberal Arts was the heart of the whole university. Since the seventeenth century it was called the Philosophical Faculty. From the beginning until the mid-nineteenth century, it served as a faculty whose programme was designed to provide preparatory higher education for the future students of the other faculties. From the eighteenth century onwards, the number of academic disciplines started to increase: besides philosophy, it was possible to study aesthetics, mathematics, astronomy, natural sciences, engineering, economics, education and history. In the nineteenth century, apart from oriental studies, archaeology and religious studies, significant developments took place in the realm of philology and degrees in Czech, Italian, French, English and Hebrew were introduced. After the reforms of 1849–1850, the faculty was liberated from its propaedeutic function and acquired an equal with the other faculties. In 1897, women were allowed to study at the Philosophical Faculty. Jan Hus, Bernard Bolzano, Tomáš Garrigue Masaryk, Jaroslav Goll, Jan Mukařovský, Bedřich Hrozný, Josef Pekař, Jan Patočka and Václav Černý are some of the most important personalities connected with the faculty. The Faculty retained its significance in the Czech lands even after the division of the Prague University into a Czech part and a German part in 1882. 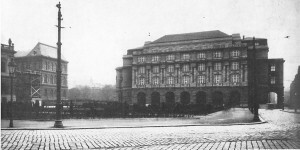 During the so-called First Czechoslovak Republic (1918–1938), the life of the university was shaped especially by the secession of the Faculty of Natural Sciences in 1920 and by the acquisition of a new building on the Vltava embankment – the one where you still find most of the departments and lecture halls. The closure of the Faculty by the Nazi occupation in 1939 was followed by brutal persecution of both teachers and students. After the liberation of Czechoslovakia in 1945, the faculty enjoyed several fruitful years. The productive, enthusiastic years after the end of the Second World War came to a violent end in 1948 with the communist coup d’ état and the following forty years of communist regime. As many excellent academics were forced to leave and meaningless subjects on Marxist-Leninist philosophy were introduced, the faculty was rapidly losing its prestige. The art historian and archaeologist Růžena Vacková (1901–1982) was not allowed to lecture the Faculty since 1950. In 1952, she was arrested and sentenced to imprisonment of twenty-two years in a fake political process with Catholic intellectuals. Hopes for a widespread social change in the late 1960s, the so-called “Prague Spring” during which the Faculty started to invite back significant personalities of that time, such as the philosopher Jan Patočka, were crushed by the Soviet invasion in August 1968. 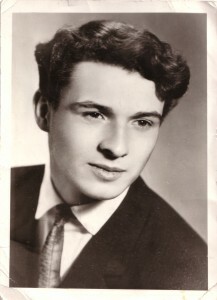 In January 1969, Jan Palach, a student of the Faculty, committed suicide by self-immolation in political protest. He doused himself in petrol and set himself alight in Wenceslas Square on 16 January 1969. He died of his injuries three days later. His funeral turned into a major protest against the occupation. The square where the main building is located and the Faculty of Arts central library bear his name. In 1970s, Professor Patočka became involved in the creation of Charta 77 and together with Jiří Hájek and Václav Havel was one of its first speakers. He died in hospital after a demanding interrogation by the communist police over his involvement with Charta in 1977. Only after the fall of the communist regime and the departure of its compromised representatives in 1989, the faculty could again established itself as one of the most prestigious institutions in the Czech Republic. Thanks to almost seven hundred years of history, its successful research and teaching activities, and the wide range of study programmes, the Faculty of Arts, Charles University enjoys the position of great authority in the Czech society, and excellent international reputation.